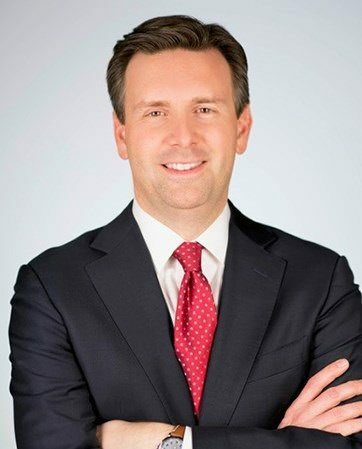 A legendary communications strategist, Josh Earnest was selected by President Obama to assume the most-visible job in American politics as White House press secretary in 2014. He quickly distinguished himself as a tactful and charismatic White House ambassador earning the respect of Washington insiders in both parties for his ability to marshal facts and construct persuasive arguments, even during heated exchanges with the White House press corps. Whether managing a legislative setback, celebrating a diplomatic breakthrough, or reacting to a terror attack, Earnest earned a reputation for uncommon poise under an intense spotlight where there is no margin for error. Voted the “best White House press secretary I’ve worked with” by White House correspondents surveyed by Politico in 2015, Earnest provides his informed take on political issues inside the Beltway and breaking news around the world. He is currently Chief Communications Officer for United Airlines. Known for his quick wit and ability to discuss the most complex and consequential issues in the world on a global stage, Earnest is a skilled speaker who infuses topical political insights with eye-opening anecdotes from his time in the West Wing. Earnest’s refreshingly candid and forward-looking presentations offer a guided overview of the intersection of policy and public opinion in Washington—and shine a light on how things really get done on Capitol Hill. As one of our nation’s most recent press secretaries, he is a go-to voice frequently sought-after by informed audiences for his experience with and perception of major issues confronting Republican and Democratic lawmakers alike. In addition to his work in front of the cameras, Earnest played a leading role behind the scenes to help develop and implement an innovative communications strategy that took the President to unconventional venues like ESPN to talk about Cuba policy and “Running Wild with Bear Grylls” to talk about climate change. This pioneering approach was paired with a fully-integrated digital media presence that put the world’s most powerful man at the forefront of an evolving media landscape. The successful implementation of this strategy contributed to President Obama’s ability to buck historical trends, confound the critics who were quick to label him a ‘lame duck’ and redefine the way a second-term President wields authority in Washington. Earnest started at the White House on “Day 1” in January 2009 as deputy press secretary, managing the White House press office and filling in for the press secretary on Air Force One and at the podium. In eight years, Earnest traveled across the country and around the world – three dozen countries – with President Obama and participated in multilateral summits including the G-20, G-7, NATO, the UN General Assembly, ASEAN and APEC. Earnest first joined Obama’s team in March 2007 helping steer the President to an historic victory in the Iowa caucuses that catapulted him to the White House. He went on to work as deputy communications director during the 2008 election. His two-decade career in politics has taken him from Capitol Hill to some of the largest states and most competitive races in the country, including four presidential campaigns, statewide races in Texas and Florida and Mike Bloomberg’s first campaign for Mayor of New York City. A native of Kansas City, Missouri, Earnest attended Rice University, where he majored in political science and policy studies.